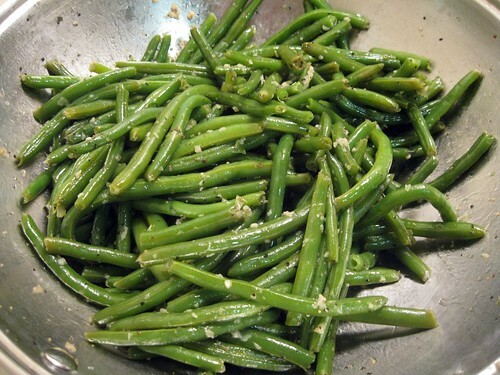 Eat Your Veggies: Garlic Green Beans | Hapa...Shot the Food! 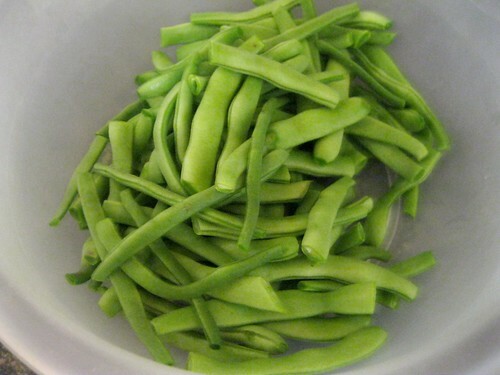 While I appreciate bacon or ham in my veggies as much as the next person who grew up in the Deep South, I wanted to try a green bean recipe somewhere in between green beans heavily laden in pork product and just simply bland-ish boiled green beans. 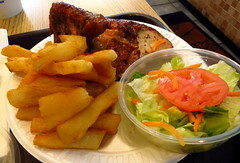 To be fair — pork fat does rule… just not in all of my veggies all the time. 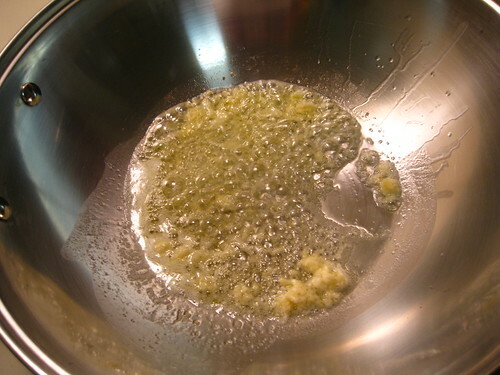 I love the simplicity of the green bean recipe we found on Southern Living, and the fats involved are mostly of the ‘good’ variety: olive oil with some butter. Yeah, eat your heart out, Paula Deen. 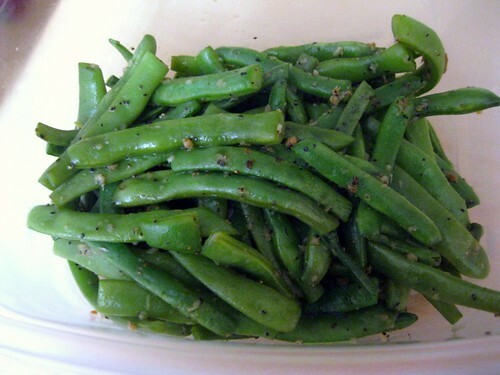 The final product is definitely crisper than some of the other green bean recipes out there : A bonus, I think. 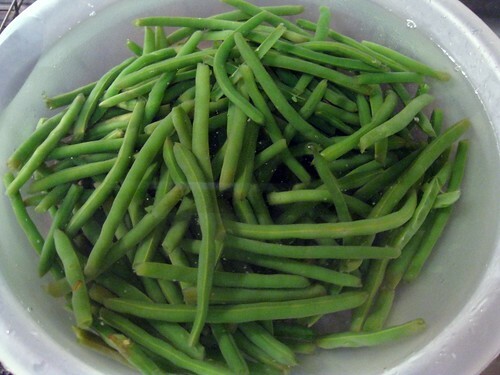 The recipe is essentially: Prep green beans, mince or press garlic, blanch beans in salted water, dunk beans in ice water to stop cooking process, saute green beans with olive oil/butter mix, garlic, and spices…et voilà! You’re done. 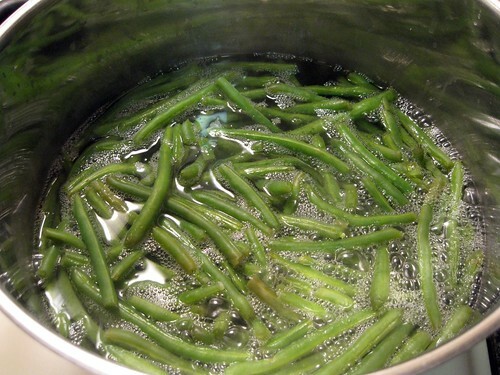 1) Cook green beans in boiling salted water to cover 3 minutes or until crisp-tender; drain. 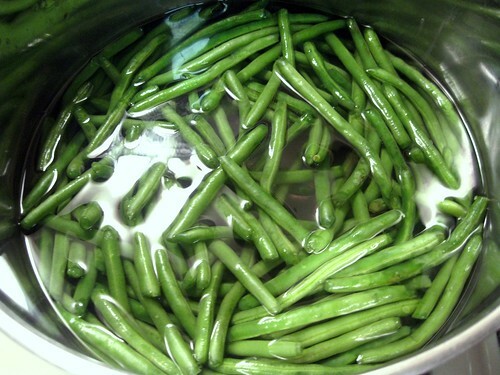 Plunge green beans into ice water to stop the cooking process, and drain. …and in the ice-water bath. The blanched beans were then put in our colander to drain. 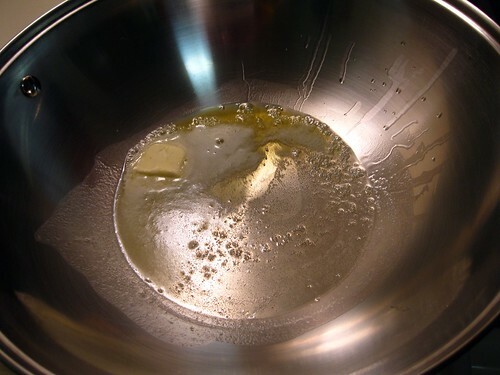 2) Melt butter with oil in a medium skillet over medium-high heat; add green beans, garlic, salt, and pepper, and sauté 4 to 5 minutes or until thoroughly heated. …And here’s the finished product with the wider beans. 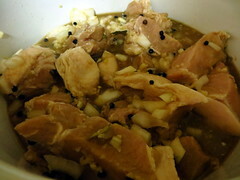 The thing I goofed on the first time I made this recipe was not adjusting the seasonings to the amount (weight) of beans I had. No, Silly Random Hapa, wider beans aren’t going to make a pound more than a pound. I made sure to make the right tweaks for two pounds of green beans the second time around (finished product shot at the beginning of the post). 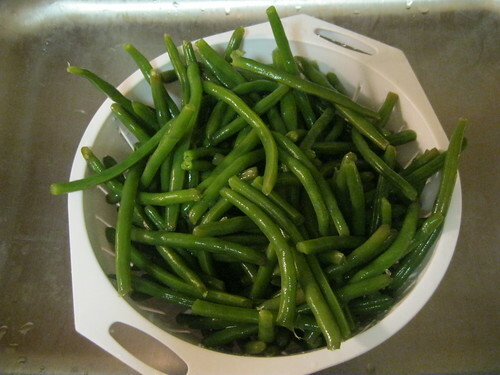 Posted on July 26, 2011, in Eat Your Veggies, quick and easy, Uncategorized and tagged green beans. Bookmark the permalink. Leave a comment.